VICIdial is not a click to install software, it includes several components which need to be setup properly. We understand its technicalities and take them serious. It is one of the reason that we never use pre-packaged distributions. That’s right we build it from scratch and tune it for high-performance and high-security. Not all but many components are compiled for your specific hardware so that you can achieve most number of seats and high dial levels. Complex design of VICIdial opens quality and capacity risks caused by server hardware and network setup. Considering that we provide full consultation regarding server and network specs before installation. For a turn-key solution please contact us even before getting your internet connection. There is all-in-one single server installation and multi-server cluster installation. There is no rule of thumb on determining how many seats single server can handle. As recommendation it is 20-25 seats per single server. Poor quality from ISP and VoIP providers in Pakistan makes it even tighter. At times outbound call centers have to run dial level 8-10. If you want to start with less than 20 TSR, single server is all you need. 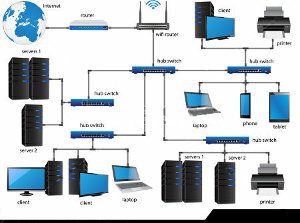 We put web server, database server, telephony server, recordings and utility scripts all on single hardware machine. For reliability RAID (Redundant hard-drives) can be used. At later stage if you want to expand new servers can be added to make it a cluster. To start with more than 20 seats you need cluster installation right from the beginning. We can deploy cluster for upto 250-300 seats. You can however have different clusters for different teams or campaigns. Contact us before purchasing the hardware as certain consideration have to be addressed before rolling out. We can aggregate POTS lines and gateway ports to make it multi-channel single trunk. That enable us to implement LCR and port rotation even if hardware does not support it. Let us know the requirements of your specific campaign and we can develop a custom form to present to agent and a report gathering portal for manager. We can develop custom applications to use with vicidial, for example prime-number campaign automation or sending a custom dtmf before transferring the call to agent to name a few.